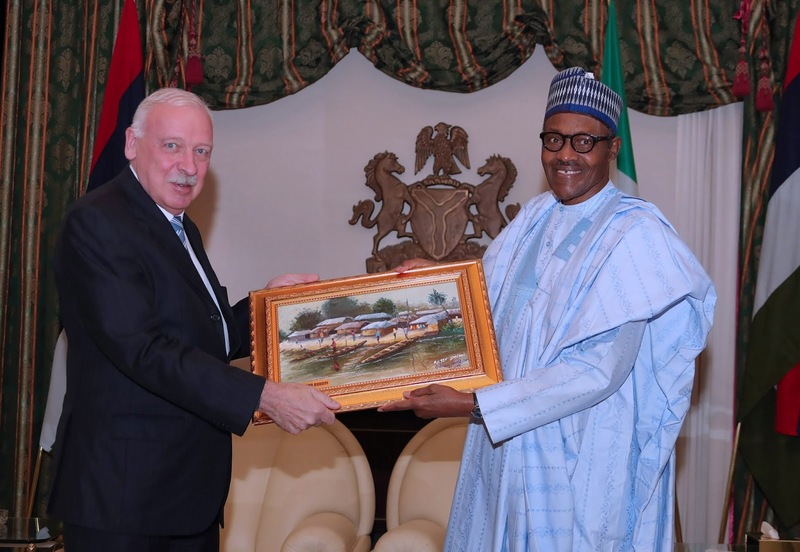 PRESIDENT BUHARI RECEIVES OUTGOING AMB OF DENMARK, GETTERMANN. 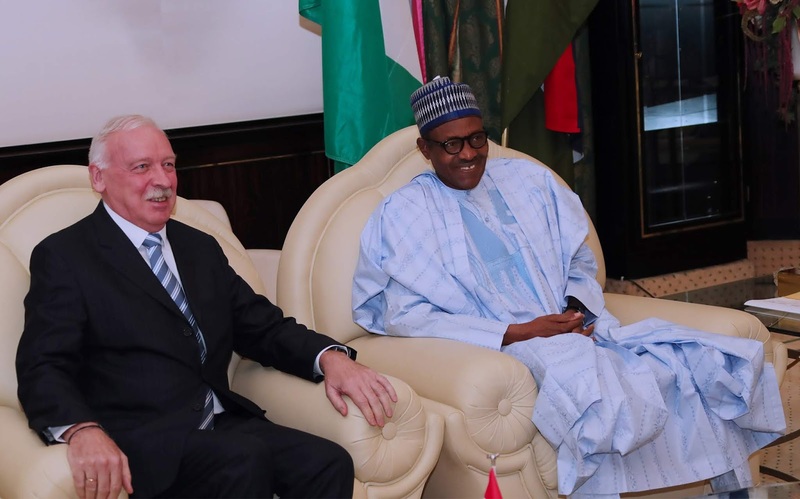 President Muhammadu Buhari receives the outgoing Ambassador of Denmark, Mr Torben A. Gettermann during a farewell audience at the State House in Abuja. 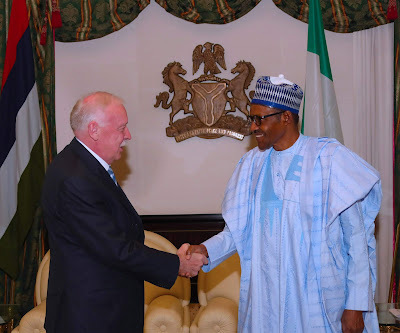 PHOTO; SUNDAY AGHAEZE. AUGUST 27 2018.